demanding through assistance of electronics. Be it cleaning our floors, drying our clothing or anything else. The most noteworthy electronic that is quite popular is none other than refrigerators. Refrigerators performs a noteworthy job in keeping our food fresh and preserve them for a long time. In each family, refrigerator have turned into a need for day by day utilize and other stuff. Here on this website, you get the chance to buy any brand or model refrigerator on EMI online and cash. The founder of this website is none other than Awais Farooq, who also owns Pakistan online comparison site, Comparebox. , LEDs, Tablets and more. Every one of the things have a place from all the perceived worldwide brands and nearby brands in Pakistan. You say the refrigerator brand and dreams.pk will have it. Notwithstanding what the model is, dreams.pk will have it as it has gathering from well-known brands to local brands. Regardless of whether you’re hunting down any home appliance like toasters, Air Cooler or refrigerator on EMI Pakistan, you get it here at Dreams.pk. Here you can purchase these things both on cash and on EMI according to your benefit. It additionally offers zero markup on various brand refrigerators for their clients in Pakistan. You should simply choose an installment plan according to your financial plan and you will have your refrigerator. Our site, Dreams.pk has each type of refrigerator. This just implies our site has each sort of refrigerator you will ever require and these highlights make Dreams.pk as one of those not very many effective online stores that enable all the buyer of Pakistan to purchase their craving items both on installment and money according to their benefit and spending plan. This web based retailing site offers diverse moderate gets ready for home hardware apparatuses on portion of various brands that are promptly accessible for the nearby Pakistani clients. These refrigerator brands accessible on dreams.pk, incorporate Dawlance, Orient, Samsung, LG, Pel, Haier and some more. This implies now anybody can buy any model of refrigerator on installment in Pakistan. Here on this site anybody can purchase any model or brand refrigerator on EMI online in Pakistan. You can purchase worldwide brand refrigerator on EMI Pakistan in a simple way which was not accessible previously. Along these lines buying of refrigerators on installment in Pakistan has turned out to be substantially more advantageous and supportive for everybody. Our site additionally encourages you in the purchasing of costly refrigerators by offering them on simple easy monthly installments. In this way top brand refrigerator are presently in reach of individuals who don’t have the budget to buy them. These refrigerators can be bought easily on Dreams.pk as it offer adaptable installment plans as per your initial payment. You can likewise make zero down payment, to get your item on lease in simple and easy way. Here you can purchase home appliances that you wait long for to get for your home on EMI online. Presently, you don’t need to hold up to spare enough to make an immediate buy, as this site is a lifeline. The reason behind shopping on our site is the simple accessibility of a tremendous assortment of refrigerators. If you need local refrigerators on installments or imported one on installment, just follow simple steps and it’s yours. Henceforth in the event that you are worn out on going everywhere throughout the business sectors to locate your appropriate rates or arrangements, can’t set aside out opportunity to visit those swarmed nearby stores or markets to purchase your refrigerator on installments and can’t locate your favorite brand or model anyplace? Stop your pursuit ideal here, in light of the fact that the answer for your issues is Dreams.pk. 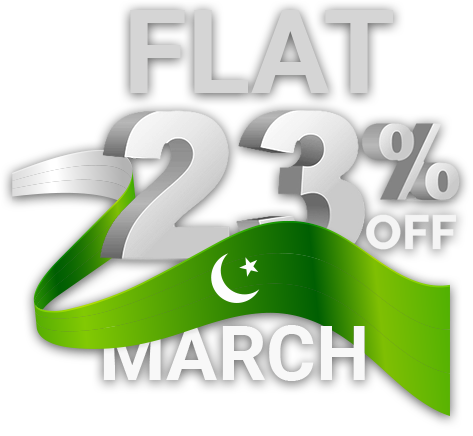 It is the best site to purchase refrigerator online in Pakistan. Consequently purchase refrigerators online through the best online leasing site in Pakistan. Numerous shoppers in Pakistan trust that the items they purchase on EMI or money from various online stores are not generally of good quality, they’re either a trade off on quality or are not unique, while Dreams.pk ensures this isn’t the situation. We have coordinate contacts with the official merchants of all the best brands who deal in refrigerators, LED, cell phone on installments, which will guarantee our clients to get the genuine items both on money and EMI with authority guarantees for the fulfillment of our adored clients.